Micellar Casein is a dietary protein supplement that has up to 75% protein share, and its main advantage is slow (up to 7 hours), gradual and equal absorption of amino acids in the body. It is therefore used as a night-time protein before bedtime and relaxation during the night. It provides better recovery, prevents catabolism and ensures even better protein utilization. 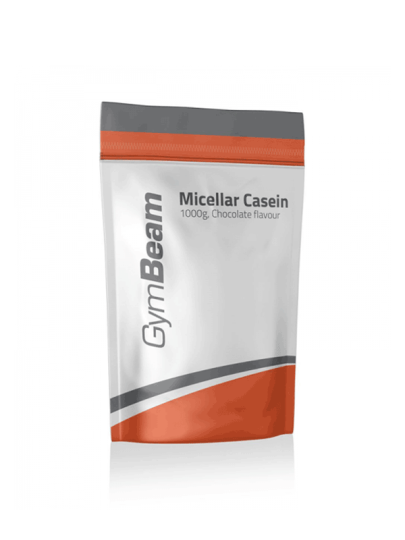 Micellar Casein - Protein with Slow and Persistent Release of Amino Acids. This micelle cartilage is of top quality and made from first-class raw materials. It is an ideal dietary supplement for those who need an optimal amount of slow-release protein. Micellar casein, cocoa powder, chocolate flavor, natural flavor, xanthan gum, sweeteners: sucralose, acesulfame K, color: powdered caramel. It is recommended that the 30g dose be mixed with 250ml of water or skimmed milk. It is best to consume before bedtime or between meals.